Each manufacturer offers their own warranty. 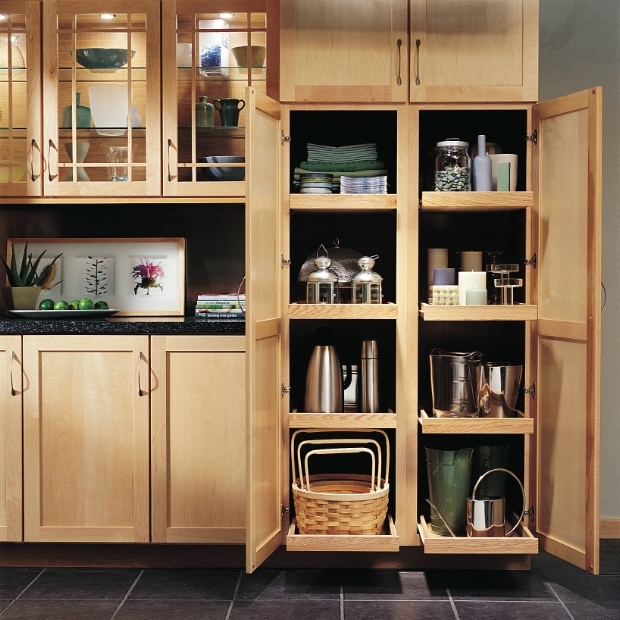 Warranties range from lifetime, 25yr, 5yr, and 1yr cabinet warranties. 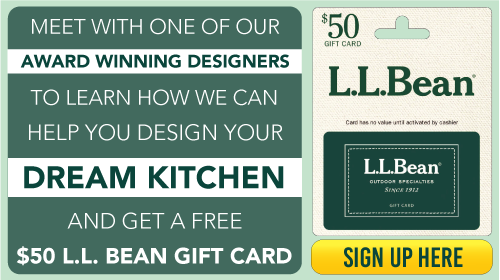 Our trained staff can design a kitchen plan that will help maximize your warranty. 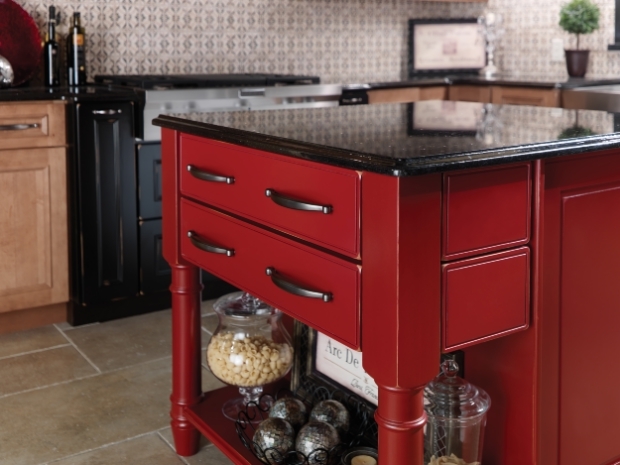 Not sure about the characteristics of different finishes? 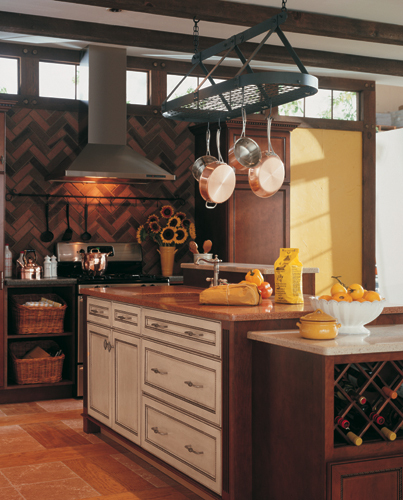 Look at our following information to help guide you to the right wood species for your Kitchen Design. Maple-Clear, consistent closed grain provides for nice clean finish and a good base for painting. 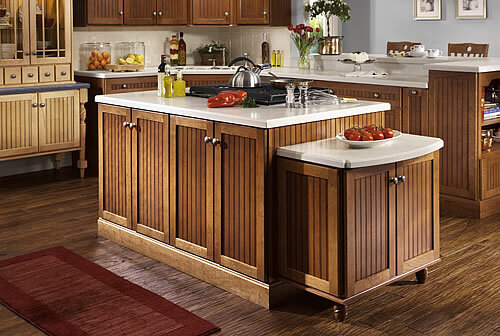 Oak-time honored wood species, rugged and durable for high traffic kitchens. 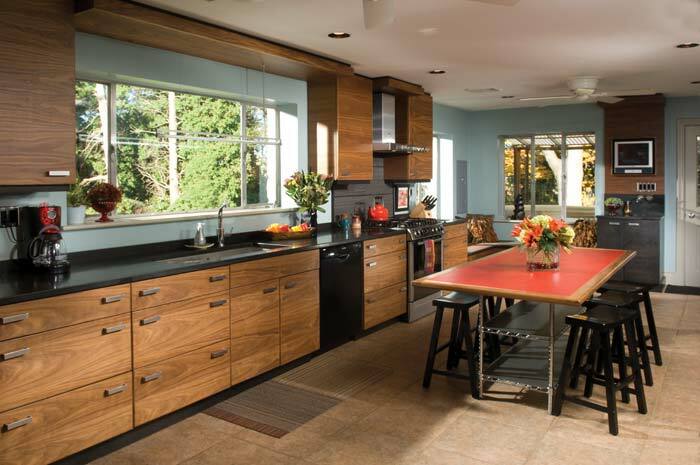 Quarter Sawn Oak-Standard by which Frank Lloyd Wright Judged Arts & Crafts style. 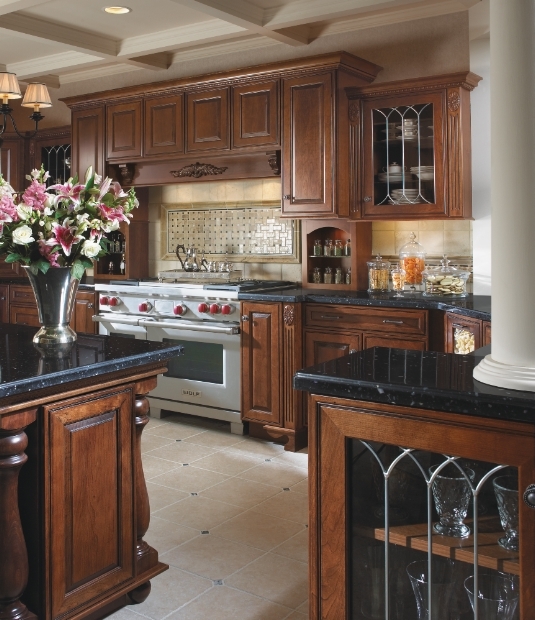 Cherry-elegant graining and superior stain acceptance warms with age and time. Alder-similar characteristics to cherry but at a lower cost. Rustic Alder- a look defining the Adirondacks. 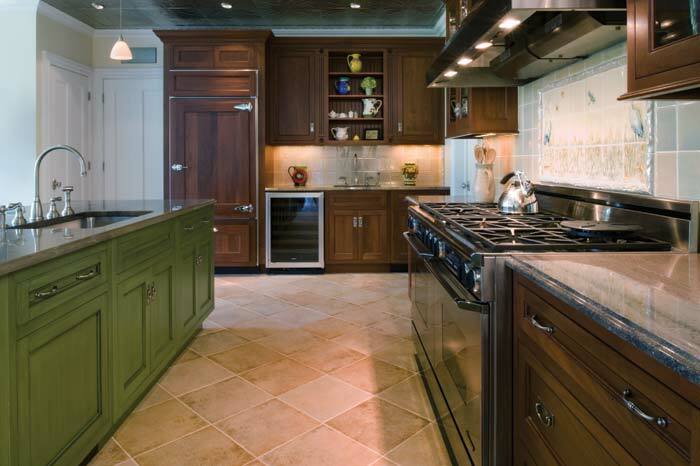 Hickory-unique and beautiful grain variations, hardest wood specie creates a rustic look with excellent durability. 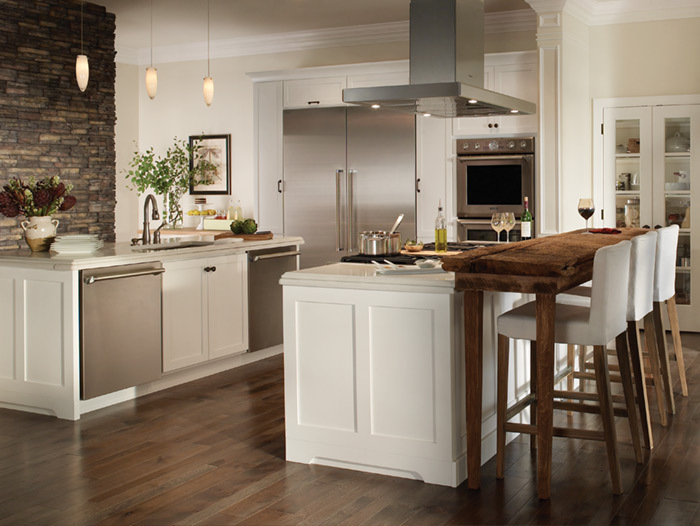 Rustic Hickory-a look defining the Adirondacks. 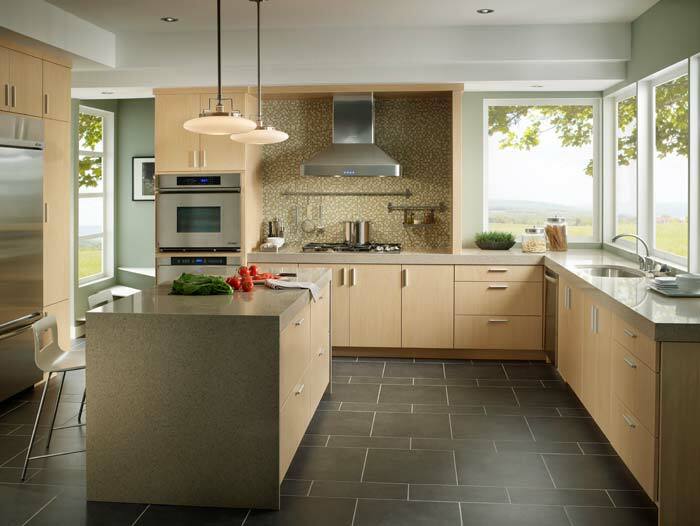 Red Birch- wood grain straight and true, varied grain pattern unlike any other wood. 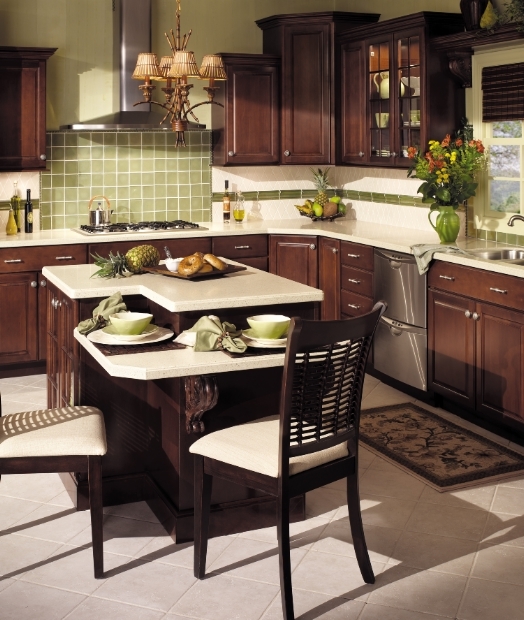 We also offer Walnut, Mahogany, Lyptus, and Bamboo. 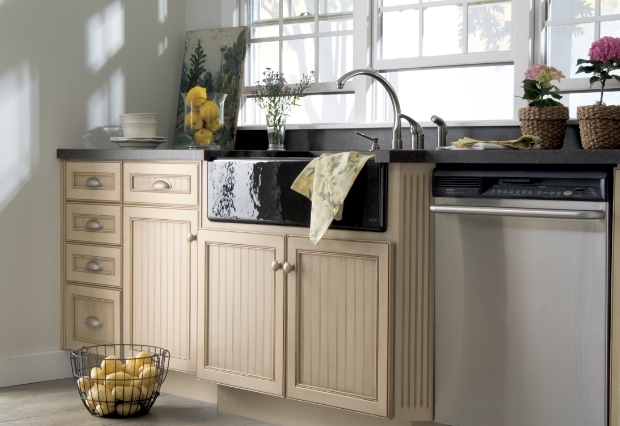 Stains-warm translucent looks that allow wood grain characteristic to show through. 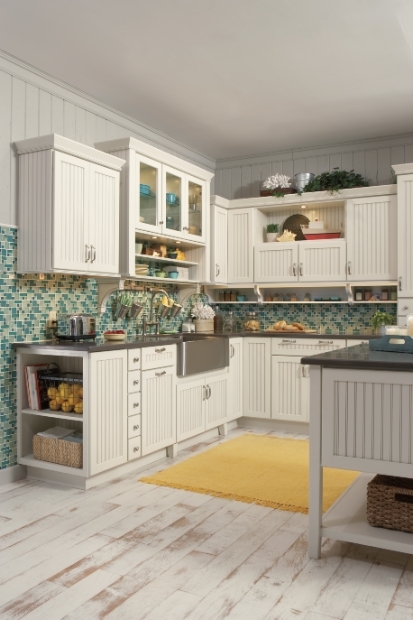 Glazes-glazing provides highlighting details to the door styles and accents any character in the wood. 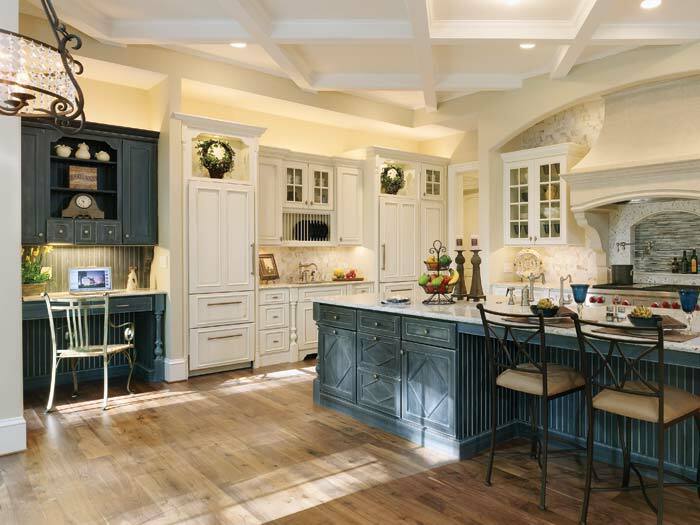 Painted Finishes-provides solid color, modern, fresh finish. 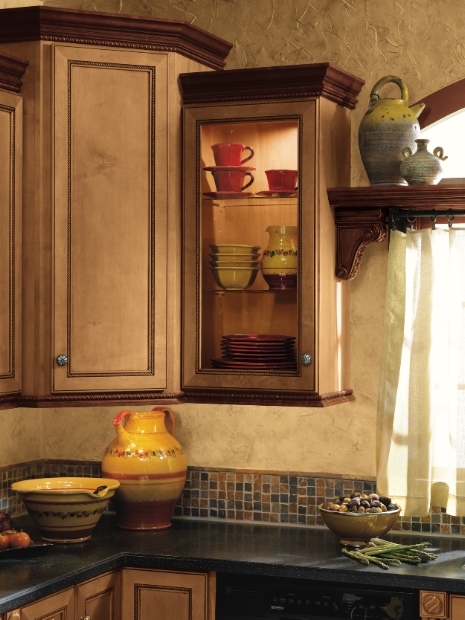 Painted Finishes with Highlights-provide warmth and character. 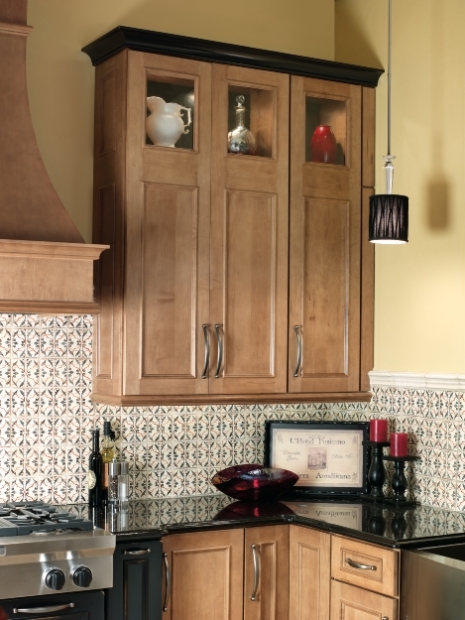 Distressed/Antique and Heritage Finishes- provides old world charm. Our large delivery fleet services Upstate New York and Vermont. 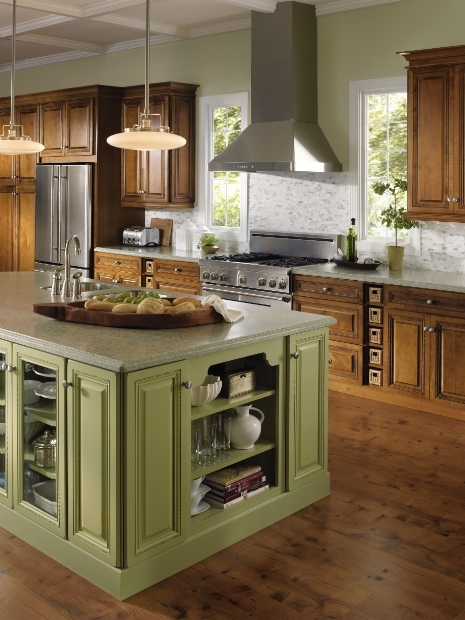 We deliver the kitchen materials to the job site when you need it. Not when it is convenient for us. 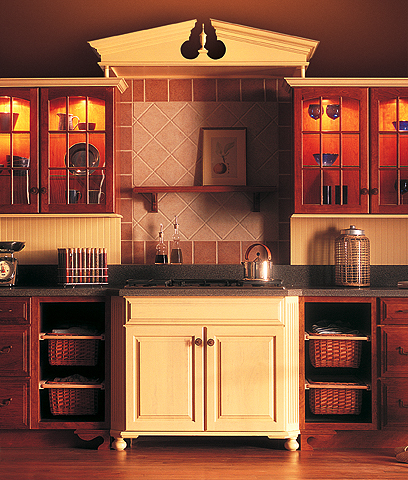 At Curtis Lumber we care about your project's success so we do not rely on a common carrier to transport your cabinets. 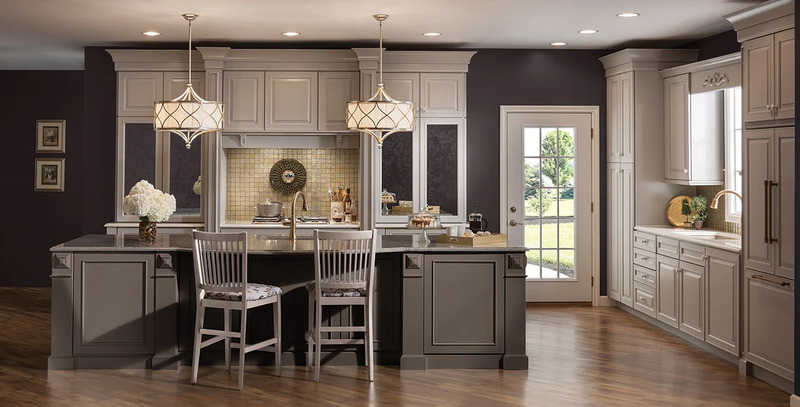 If you purchase your dream Kitchen Cabinets and Complete Kitchen Design from Curtis Lumber you can be assured that your kitchen materials will be delivered on Curtis Lumber Trucks by Curtis Lumber Employees and we will be quality checked throughout the process to ensure total satisfaction. We have been in business for over 120 years by standing behind our products and service and taking care of the customer. Here are a few of the towns in the Rensselaer County, Troy and the Capital Region we deliver to. Keep in mind we deliver to all the towns and cities in the area.